What is a 'good death'? 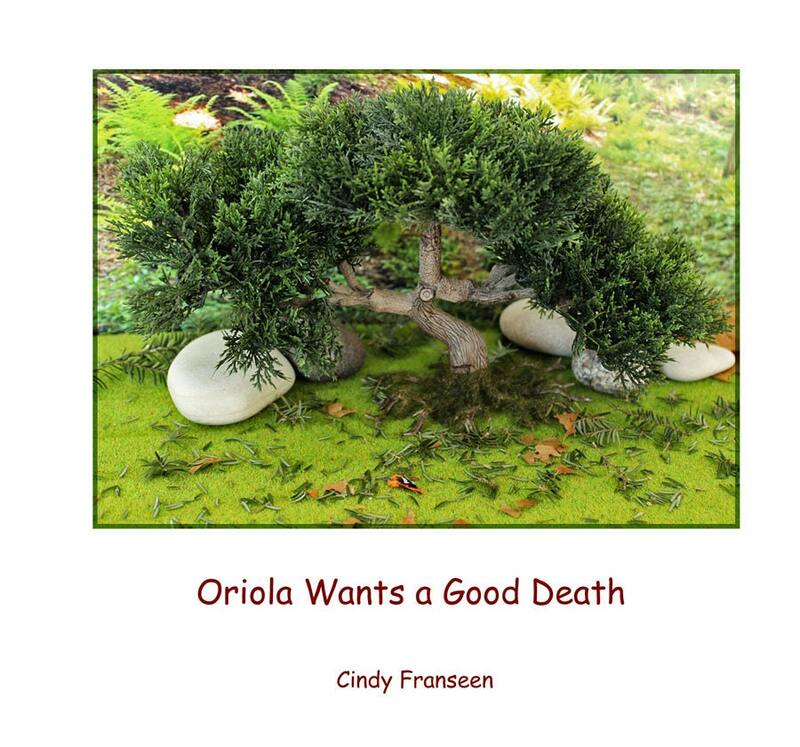 "Oriola Wants a Good Death" is a story about an old bird who is thought to be dead by her friends. When she finally comes to, Oriola shares with her friends what a 'good death' would entail. I was inspired to create this story after reading Katy Butler's important book, Knocking on Heaven's Door: The Path to a Better Way of Death. I liked the idea of using little animals, in story form, to illustrate that giving consideration and thought to our inevitable death, and how we would like to die when we're old, is not as threatening as we have been led to believe. The photos show - from left to right - the cover, inside cover, cast of characters, and the opening scene of the story. Pocket Reminder Stone...Everyone Needs a Reminder! Wonderful Ebook, beautifully illustrated. I'm very pleased! This book too is great, and I highly recommend the artist's work. Such a lovely book and so eloquently written and photographed. I will treasure it and read it again and again. Another lovely stone. I am never disappointed with this artist. Paypal is my preferred method of payment, but if you need to pay via personal check just let me know. I will ship your item as soon as I get the payment. If you purchase an item and then decide not to pay for it for any reason PLEASE, convo me and let me know and I will cancel your order immediately without asking questions. Buyers from the state of Michigan will be charged the 6% sales tax on Paypal. If you see something that you like but would like a different size, or perhaps the original, please convo me. I am willing to work with you on custom orders.